Benjamin Vnuk c/o LundLund photographed the »Total Eclipse« beauty story for British Vogue with Kenna providing different hairstyles for the models. The black and white series looks both pure and gentle. Thomas Nutzl c/o Open Space Paris captures supermodel Georgia May Jagger for Grazia UK. Gorgeous Georgia reveals her beauty secrets in this beauty spread. »Fresh, fun and more wearable than red – pop pink lips«. Portraits of pale models with captivating eyes in »We are Six« - the story styled by June Nakamoto c/o Shotview for issue #12 of Under The Influence magazine. Hunter & Gatti capture the stunning Karmen Pedaru for the new »689 5th Avenue« collection from Massimo Dutti. Karmen wowed in the studio as well as on location. The result is a mix of outstanding black & white and color photos. Sam Bisso traveled to Shangri La on the beautiful Maldives to capture images for Elle magazine. Amazing pastel-colored clothes and a breathtaking location come together beautifully to make this timeless story. British model David Gandy poses for Sergi Pons c/o Close Up Milano. The charming, blue-eyed model is in the kitchen wearing white shirts and tank tops cooking spaghetti and cleaning the dishes. All clothes - Dolce & Gabbana. Elisabeth Toll c/o LundLund for Bon magazine. The models in the Revelation story seem to come from a royal court during the baroque period – but with a modern twist. They appear glorious in muted colors and unique jewelry: body chains in silver and pink pearls, a silver sequined jacket, and silver and brass bracelets. Andoni & Arantxa aren't only a perfect team behind the camera. 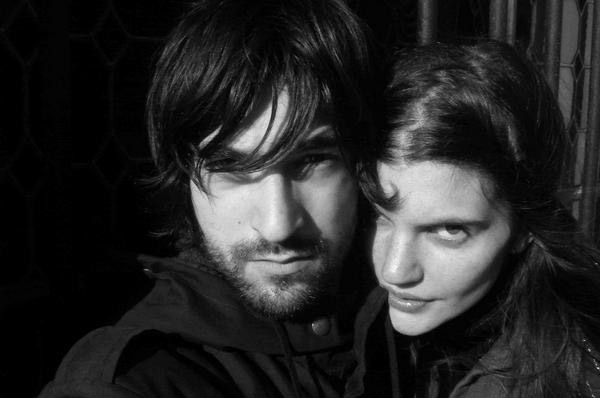 The Spanish-born ex-model and ex-musician are also an awesome couple when it comes to their private life. Read more about their travels and how they ended up as fashion photographers in our new interview.